“Like pioneers of old, everyone worked together putting in hard and long days. Truck loads of gravel had to be brought in to provide traction to walkways, drainage ditches were dug, trees were cut to provide room for administrative headquarters and tents. Structures were raised and flooring installed – kitchens, showers, mess halls, day rooms, and post exchanges were erected. Ammunition dumps and a chapel were rapidly built. Sweaty clothing remained a problem until each battery had installed its own laundry service. Soon our training program was underway covering many new subjects with special emphasis on jungle tactics and camouflage. Orientation classes explaining the program of the war on the various fronts proved to be highly popular. For recreation, loudspeakers in the battery area brought the latest world news and American radio programs. Special Services provided abundant reading material and athletic equipment. 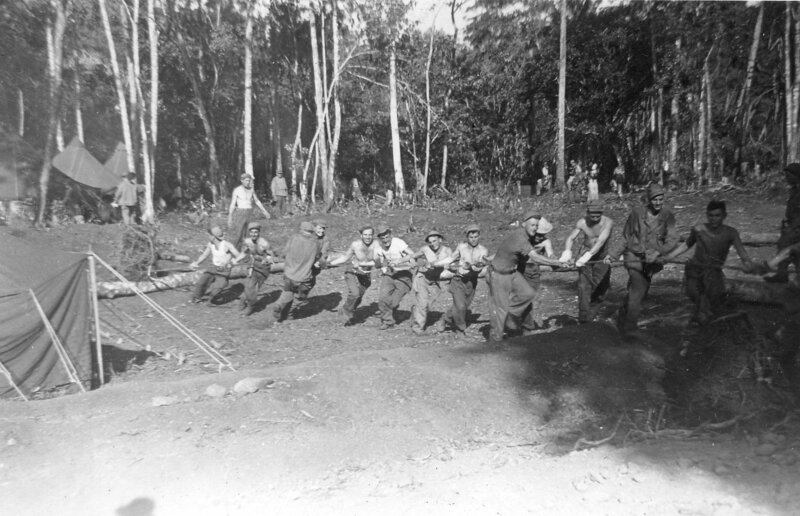 The 224th soon made a name for itself in a long series of victories, winning the baseball and basketball championships of Base “A” (Milne Bay). Open air theaters, were available for movies. USO and GI shows were enjoyed occasional]y, and were very good shows. Religious services for the various faiths were conducted weekly. Probably the greatest morale builder of all was the mail we received from home. On 29 January, 1944 the battalion pulled into Milne Bay, Papua, New Guinea in the Southwest Pacific after 16 days at sea. The unit went ashore on 30 January, 70 years ago today. Using both the unit’s own historical records and the newsletter here’s more details on these important days in the men’s lives. Next time; The camp is built and the men take on their new duties. This is my first post in some time…my apologies! Today we learn about the 224th shipping out for the Southwest Pacific. My Dad called this voyage “the biggest adventure of his life”. Details here come from the official history and the unit newsletter. 27 December ’43- Unit entrains at Winter Garden, Fla. for California. 2 January ’44- Battalion arrives at Camp Stoneman to stage for overseas movement. 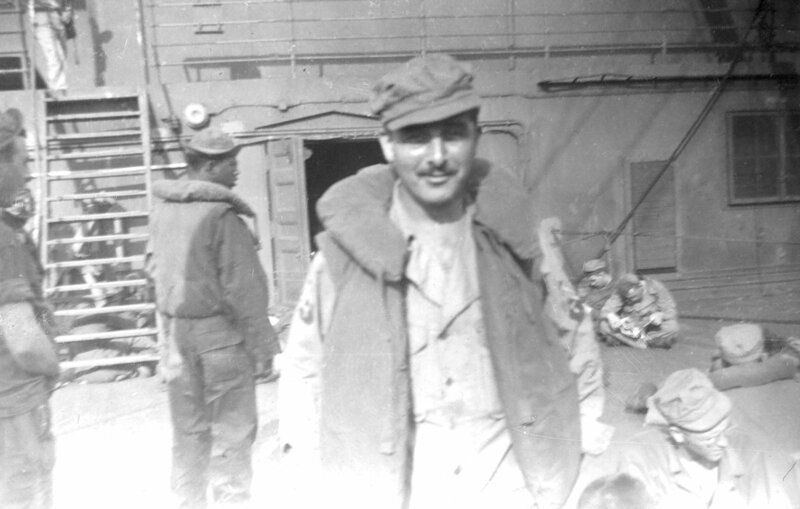 13 January ’44- Departs port on USS Mt. Vernon passed through the Golden Gate. The newsletter gives us better details to fill in the blanks about these actions! what!) physical inspection in preparation for our overseas shipment. A showdown inspection was followed by new issue of clothing and equipment, as well as appropriate advise on security regulations and financial matters. We made the rounds of physical conditioning and lectures on numerous subjects. A limited number of passes were granted to visit San Francisco. 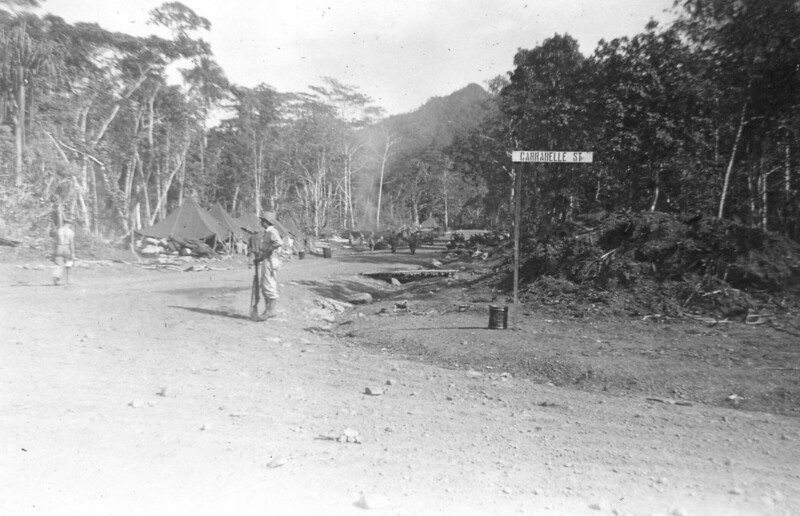 The battalion evacuated the area at Camp Stomenan on 11 January 1944, and was transported to the Port of Embarkation by river steamer after an advance guard proceeded several days earlier by truck for guard detail on the ship. 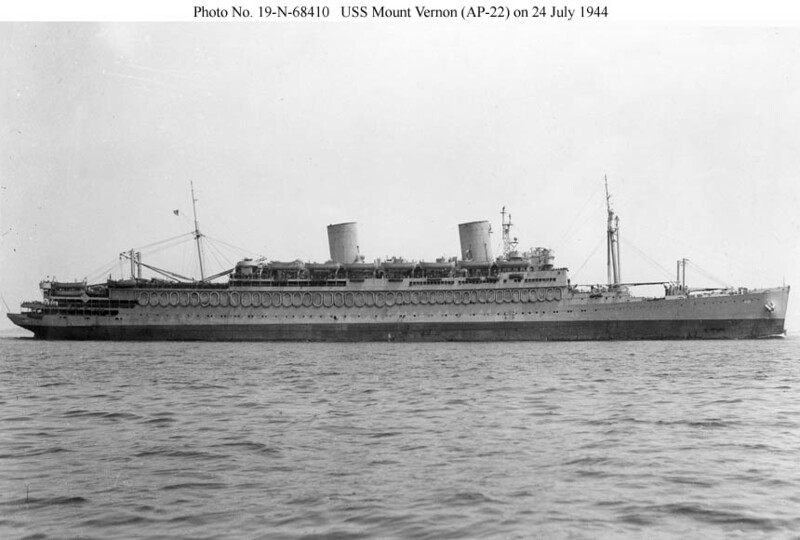 The unit boarded the Army transport USS Mt Vernon in San Francisco, Califomia as a band played music on the dock. Certain key personnel remained to accompany the equipment. The big transport put out to sea through the “Golden Gate” on Thursday morning, 13 January 1944. The first day out found many of the group seasick from heavy seas, but after the comparative calm prevailed, though it seemed some stomachs failed to maintain an equal calm for several days after. This past week saw the 50 year remembrance of JFK’s assassination and funeral. I was in the sixth grade in 1963 and grew up with the memory of WWII close at hand(thus this site). 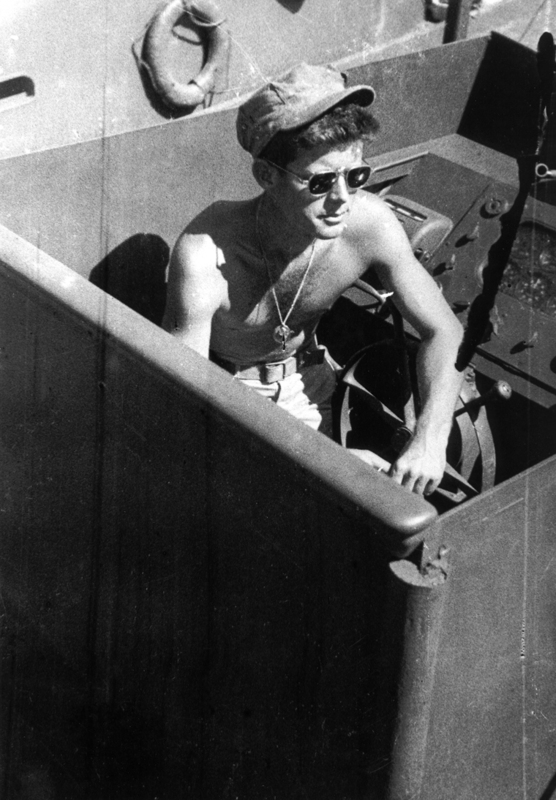 Most folks my age will know of PT 109 and President Kennedy’s war service. If you don’t know, I’m sharing a wiki link and an image from that story. My dad spoke of seeing a few PT boats at Milne Bay and how the guys were awed by the “mosquito fleet” as they were known. 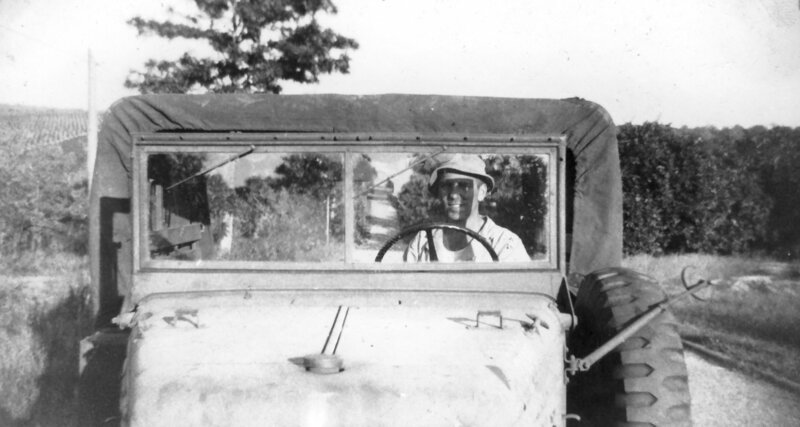 Written on the front is “Pete in a 5×5” “Clermont Fla Oct. 1943”. On the back Dad wrote ”Yours truly in a five by five coming in after a hard days work believe that or not”. 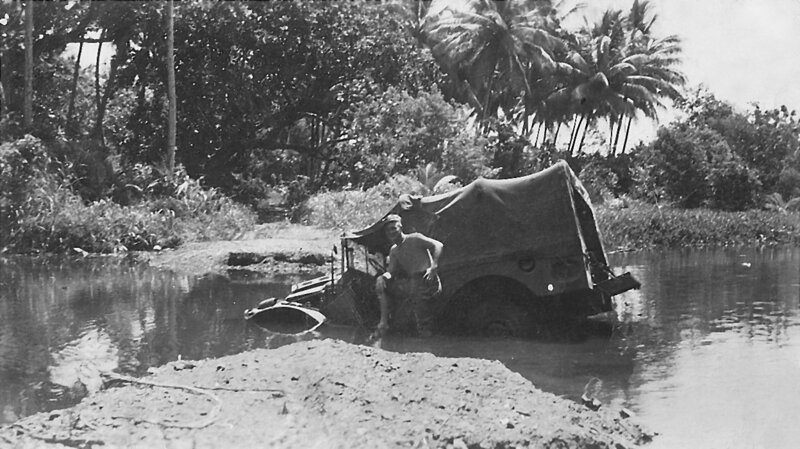 A friend, Rusty Justice sent me this image of his Dad Victor, also in the 224th with his 5×5 in New Guinea. This picture continues to be one of my favorites! It gives a look at many aspects of Army life during the War. Note each soldier’s own take on fatigue dress; some with no shirts, others with long sleeves and even a white tee shirt(developed for the US military, I think). There are two styles of hats; the “Daisy Mae” with the circular brim worn by several men, and my Dad in the 1943 HBT Fatigue cap. Interestingly the guys in the DM have found three ways to wear the hat!!! What’s really important here is that we see; the crew in the field with their equipment doing their jobs. You see special tools on belts and in hands, a reel of the phone line they are stringing and the WC53 “5×5” truck that hauls them and the gear. Continuing my current theme, here’s the notes from the snapshot. Written on the front is “Clermont,Fla, Oct. 1943”. 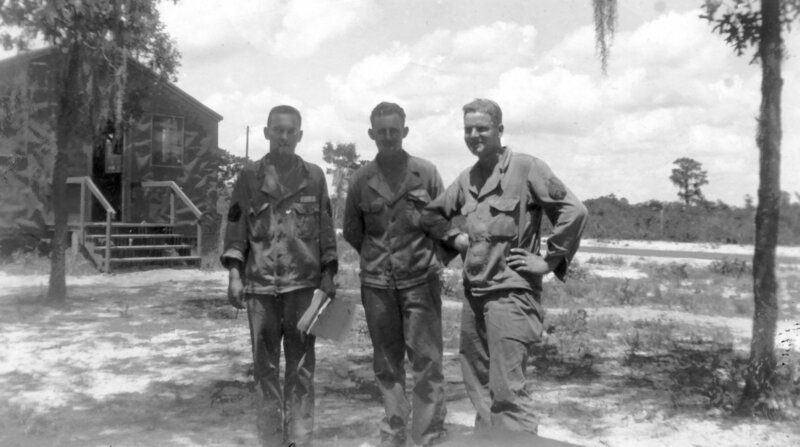 On the back Dad has noted ““Laying wire close to Clermont, Fla left to right: Pfc. 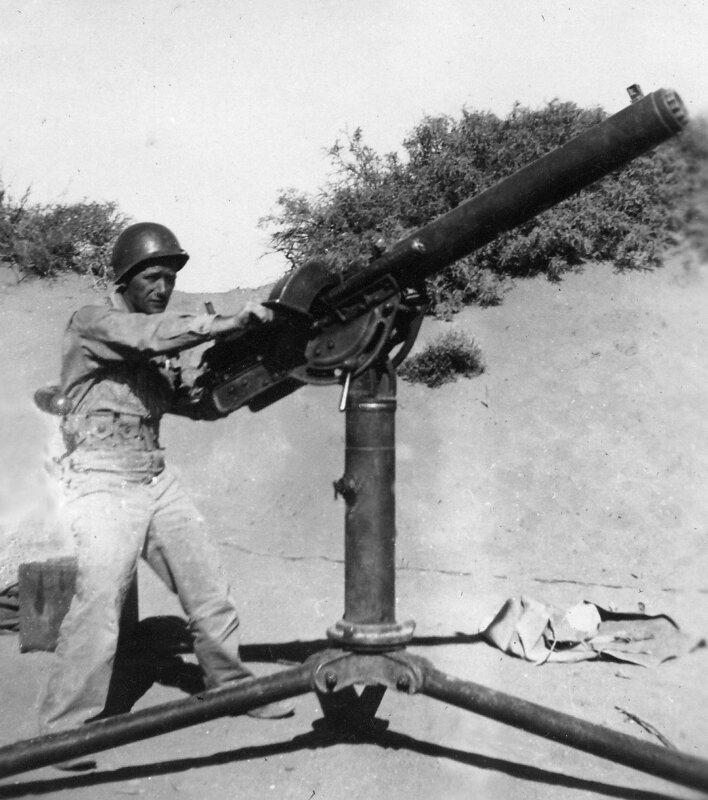 Krause,Pfc. Jack Sorg,Pfc. Whitley, Pfc. Logan, S/Sgt. Terranova, yours truly, Cpl. Henry Thom”. These guys will appear again in more images. Stay tuned for more pics and notes soon! I’ve been AWOL for almost a month…my apologies! September was very busy, but I’m back and ready to fill in some blanks for the pictures I’ve started posting from my Dad’s WWII photo album. 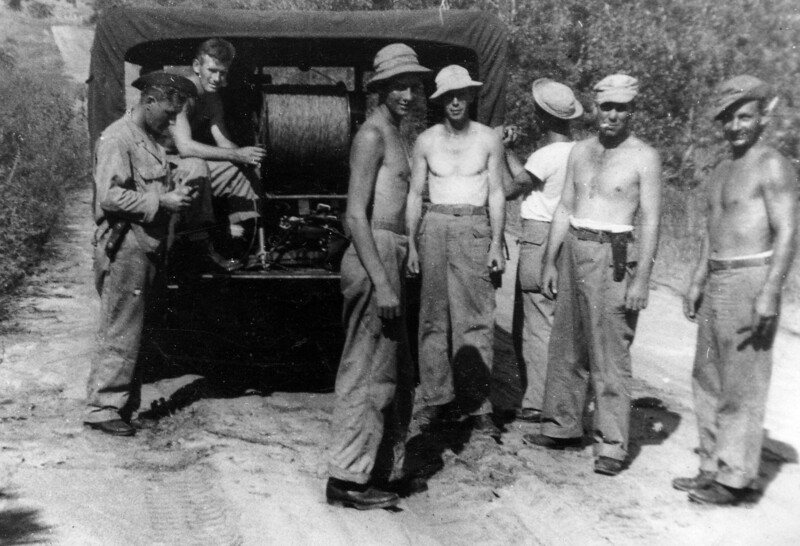 Here’s a picture from the 224th while they were training in Florida during the summer and fall of 1943. A note on the front of this shot said “Koski-Dement-Goodman” “Clermont Fla, Oct. 1943”. Dad’s words on the back tell a much richer story; “Three bosom buddies left to right: S/Sgt George Koski, used to be T/4 Dement & T/4 Goodman. They’re swell guys. Koski is a high speed operator & he really can send it. Taken in Orlando”. The unit roster list Dement, A.B. (IO), initials only, and Goodman, Ulys D. George Koski does not appear in the December 1943 rosters. Also notice Koski is referred to as an “high speed operator”; these are communications teams, they used field phones, two-way radios and a telegraph key. So my Dad is talking about Koski’s ability to send Morse code on a key; not easily done by most people. Looking closely at the background and surroundings we can see a tarpaper-covered building that may be the battery building or a barracks. Other shots from this area show pyramidal tents on frames commonly used to billet troops. In the foreground above the buddies heads you can see a bit of Spanish moss hanging from the tree to give that “bayou” feel!!! Note: this image was taken 70 years ago this month.